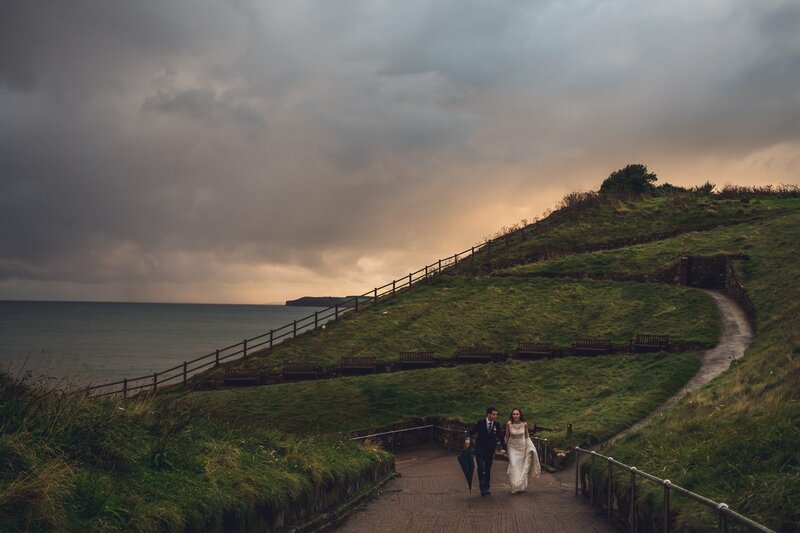 What happens if it rains at my wedding? London wedding photographer Babb Photo. 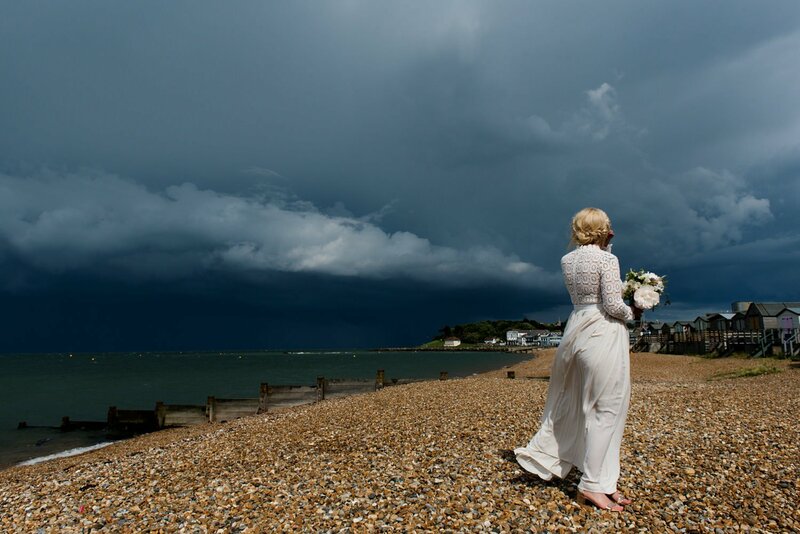 What happens if it rains at my wedding? Lots of my couples ask this question as, understandably, they want to make sure they have a back up plan. 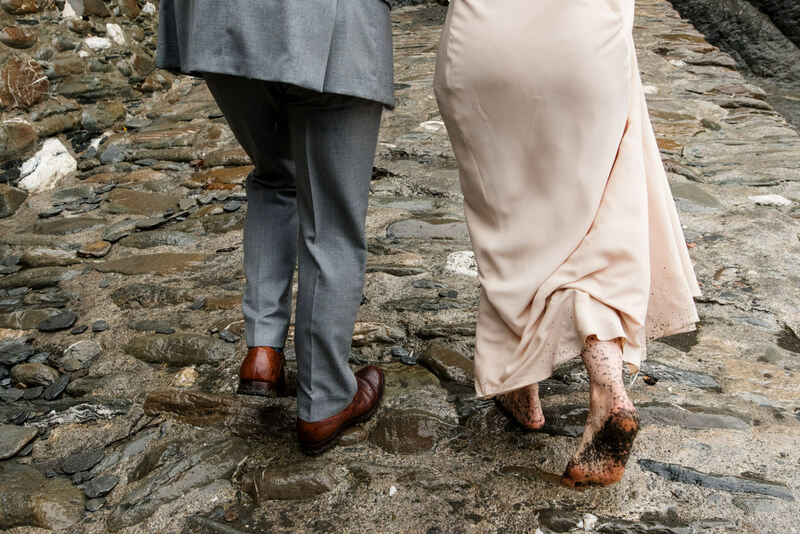 I haven’t photographed many weddings where it’s rained torrentially all day, although there have been one or two, like Luke and Pip’s super soggy Tunnels Beaches wedding. 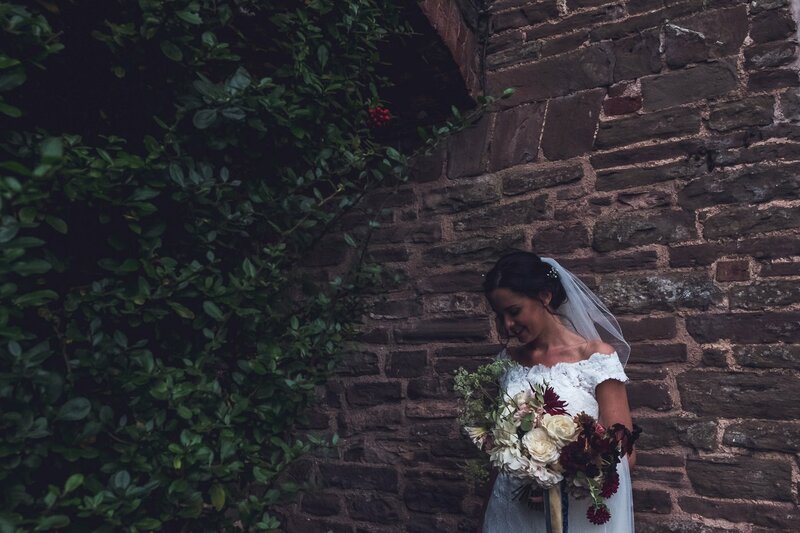 We’re currently in the midst of a heat wave in the UK and it feels like it might never rain again, but of course it will because the British weather is what it is, so here are some tips for making the most of your wedding day if it rains. 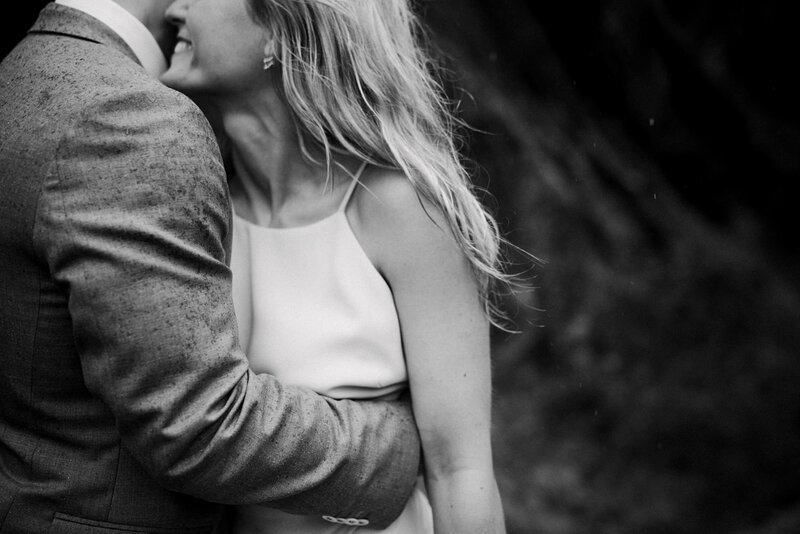 If it rains on your wedding day, rejoice! 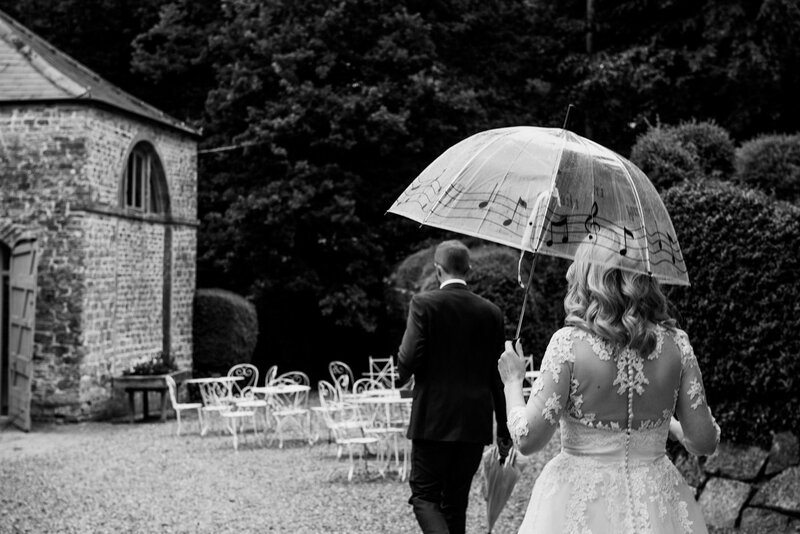 If you’re the superstitious type a rainy wedding day is considered to be a sign of good luck. That aside though the light that you get on a rainy or overcast day is often soft, defused and lovely. You might also luck out and get a really dramatic sunset or moody skies. Sun light through storm clouds looks amazing and is one of my favourite kinds of light to photograph. I’d take a stormy sky over a bright blue one any day of the week and soft, diffused light is the most flattering light there is. I’m absolutely happy to get outside and brave the weather if you are. We can take an umbrella and incorporate it into your pictures, or we can use it to keep you dry in between pictures and cast it aside for a few atmospheric shots. We can also find sheltered areas, tree cover or we can look for locations inside of your venue too. A rainy wedding definetly doesn’t mean a lack of options when it comes to your portraits. 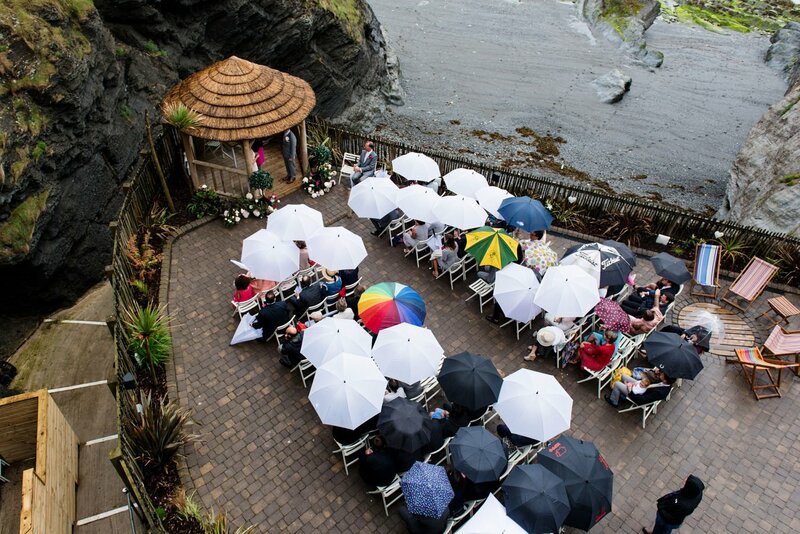 If you’re planning an outdoor ceremony it’s good to have a back up plan. Rain doesn’t have to mean you move everything inside. 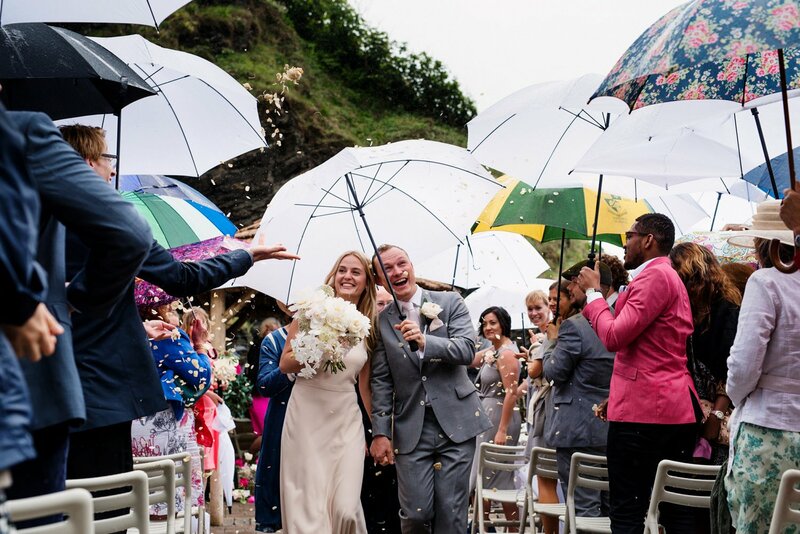 Luke and Pip, who I mentioned before, decided to get married outside and their guests were perfectly comfortable under umbrellas. You might want to hire in a whole load of matching umbrellas, from a service like Brolly Bucket. Colourful brollies will really pop against a rainy sky or grey city scape, or white umbrellas look pretty and stylish. When it comes to your group shots, I’ll work out the best indoor location for these on the day. I’ll have lighting equipment with me in case I need it and we’ll make the most of what ever backdrops your venue has to offer. We might need to shuffle timings for things around, depending what the weather is doing. We can keep an eye on the weather forecast and if there’s a break in the clouds we can head out and make the most of the dramatic light we talked about earlier. This important so I’ll say it again. Don’t panic! What ever the weather you’ll end up married. And what ever happens you’ll end up with an authentic and comprehensive story of your day. I can’t wait to capture your day, what ever the weather. If you’d like to check out more informative posts that will help you with your wedding planning, check out my planning guide. To have me capture your wedding day, say hello here.